My oh my. 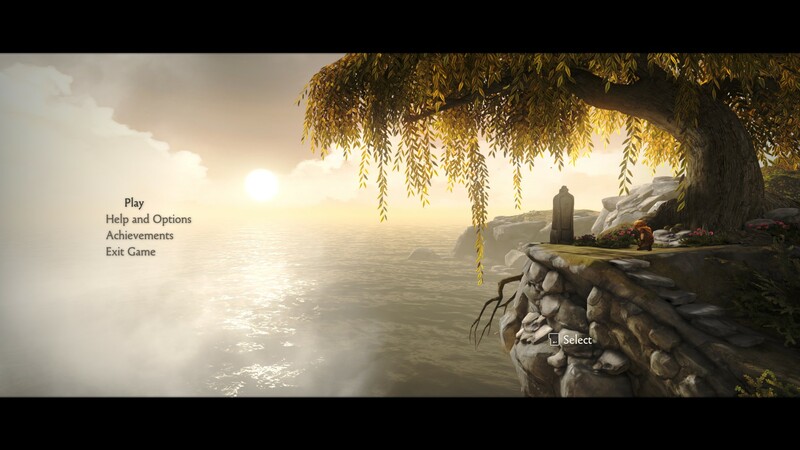 How a game with no dialog, barely any intrustructions, no voices persay, can be so emotional is incredible. Not mention the sheer amount of growth you go through within such a time. The music is seriously good. The changes in gameplay is surprising and so refreshing. The areas you go through are a joy to look at, the design of them lets you take in the atmosphere and see the sheer amount of effort put into them. Every opportunity I got to sit on a bench to just look at the surroundings. I couldnt believe how morbid the game could be as well. 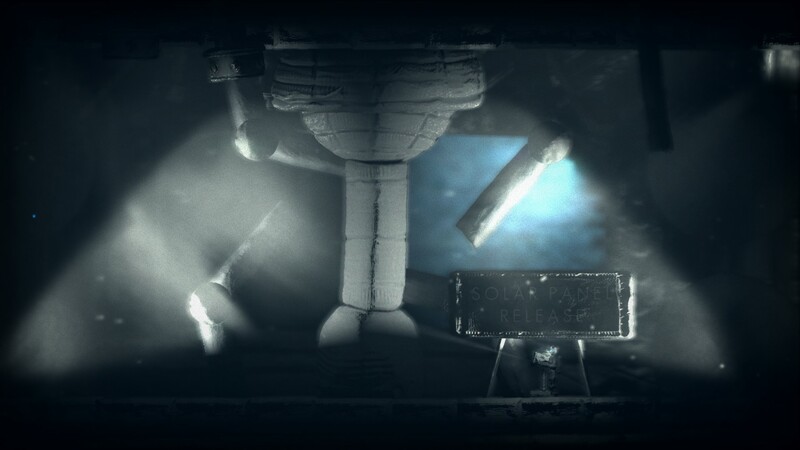 Im not going to show any more screencaps as the game seriously deserves a playthrough. I honestly swore at the game a few time. Not through frustration but through a love and hate for what the game made me do, maybe a better way to put it would be what the game presented that I could interact with, its kept shocking me one moment and making me actually laugh the next. All this backed up by a really good a story and story telling. Do yourself a favour and go play this. I wish I could remember just where I first caught a glimpse of this game, but I cant, but I’m so glad that I did find it by accident. It was the visual style that first grabbed me. Dark floaty space with eerie cool backgrounds, the overall mood, art direction and atmosphere are stunning. My oh my those lighting effects and the overall soft focus is really well done. The music is very mellow and ambient. 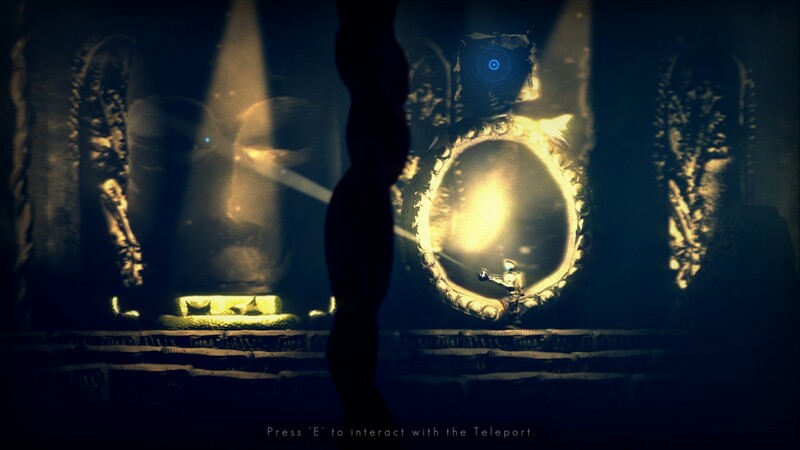 Which can actually be a good thing as it helps the feeling of being alone in space, lets you think about the puzzles, plus it makes you pay attention to the written logs, talking stones and the frequent transmissions you recieve. 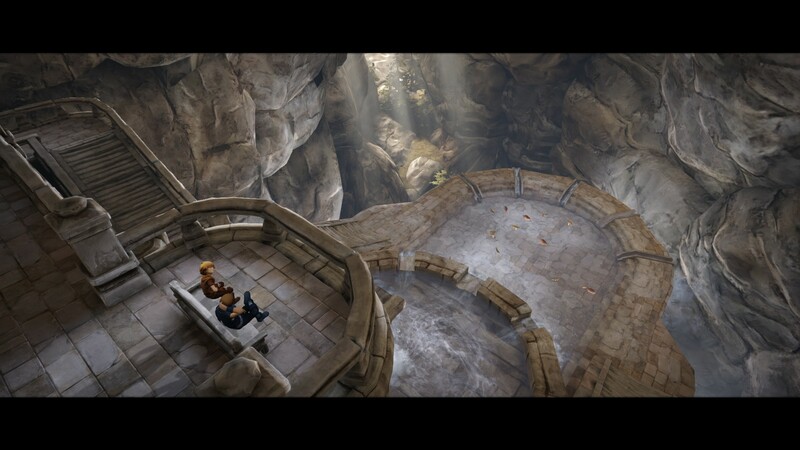 You peace the story together over time, its not force feed into you and there are no cutscenes persay. The style of story telling really fits with the game and is never intrusive. Yes I did just say talking rocks. Im not going to say too much, but basically when you run past a large stone a message appears, usually cryptic and philosophical, and I wont say who, what, when, where or why. 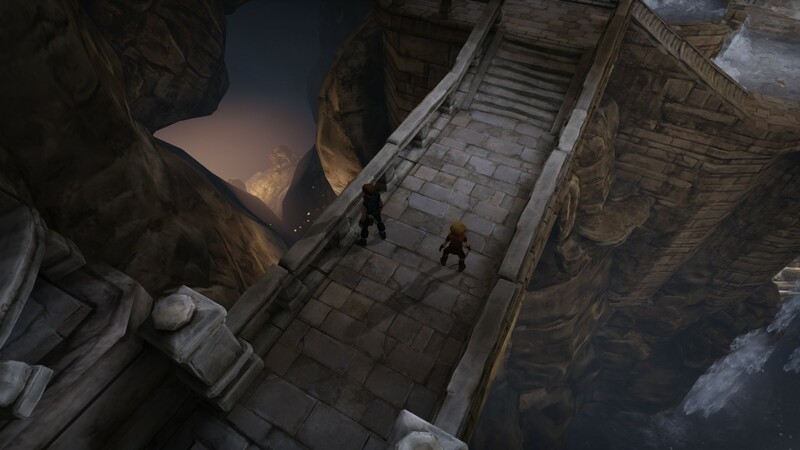 You are pretty much left to explore, with some areas locked that require you to have collected over a certain number of orbs. It does feel like your on a space station. There are linear dark corridors that open into bigger areas with multiple ways to go from there, plus actually being in zero gravity space in some parts was a nice touch. 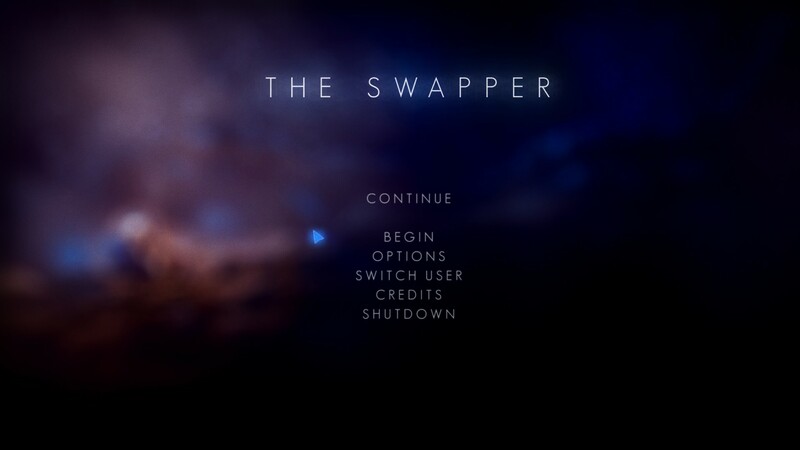 Now for the guts of the game The swapper. 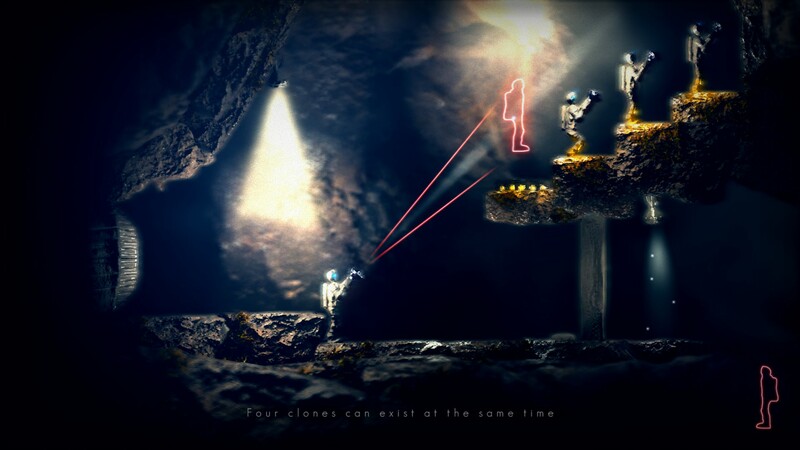 Is a device that lets you clone yourself up to four times to help you solve puzzles by gettign to otherwise unreactable areas on standing on platforms/pressure pads, in order to collect orbs to progress through the game. The clones do exactly as you do, so if you place one of a platform and you run to the right so will he, but if you dont want him to fall off and you still have to move, what do you do? You create another clone and transfer yourself into the clone. Right click/hold will create a red outline of a clone, which to become physical once you release. 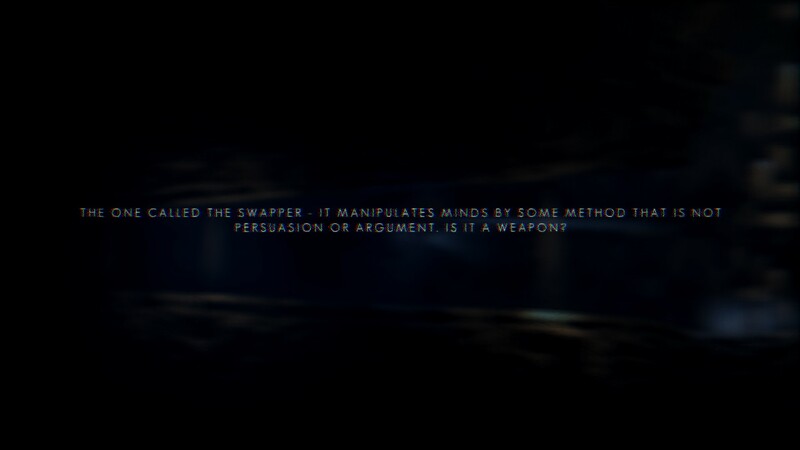 While the left click ‘shoots’ a transfer beam, if the beam hits a clone, he become the primary, the one you control. Plus only the primary can collect the orbs. 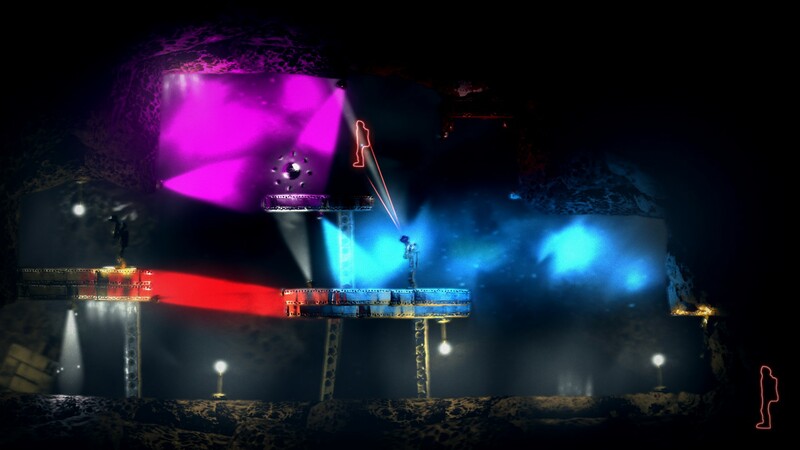 Later in the game these coloured areas/lights makes things harder for you. In blue you cannot create a clone, the red outline. In red you cannot transfer, the beam just stops and cannot pass through the red light. The purple you cannot do either. 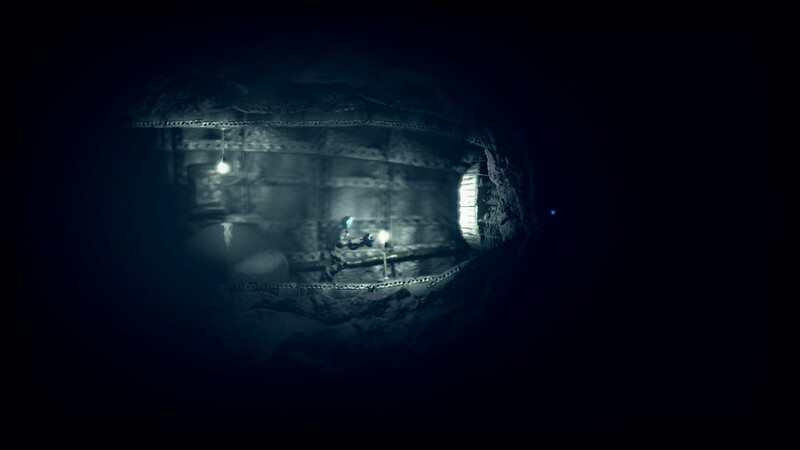 Some pressure pads do turn off some of the lights in some puzzles. The puzzles mainly require you to do things in a certain order. For example, once a clone is on a pad, you want him to stay there, so you cant move, so you have to transfer yourself right? but you cant due to the blue light, so really you want a clone up there before you step on the pad. I really enjoyed the puzzles, no backtracking as there are plently of teleport stations, decent soundtrack, really intruing plot, cool storytelling, amazing designs, excelent atmosphere and first playthrough took me around 5 hours. So yeah I really recommmend going to steam and checking it out. Besides, who doesnt want a stone asking you philosophical questions? Well apart from moving, doctors, job seeking, drinking, gym, planning to move again, saving something important and being on cloud9. I have been playing quite a bit of games… when I manage tear myself away from dark souls (on my seventh or eighth character/build now). 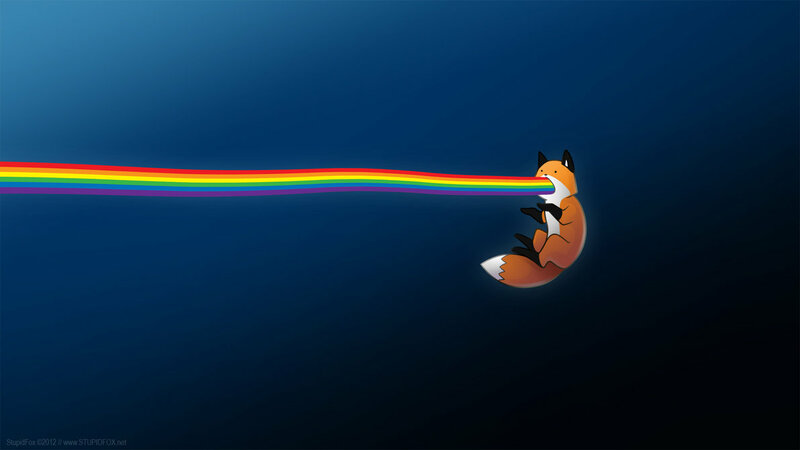 All the Indie and short games I mention will get their own post over the next few days. So expect to see the likes of The swapper, No time to explain, Dust an elysian tail, Electric super joy and Lilly looking through. Meanwhile I have also managed to get my grubby mits on Amnesia The dark decent, my god its good but havent completed it yet, so close to the end though. Amnesia a machine for pigs, it has good parts but its… terrible. Darksiders 2, is enjoyable but not finding myself liking the characters that much so far. Final fantasy 7, this is like my third copy of the game I swear. The witcher, cant believe how much I’m enjoying this game, really did not like the combat at first but it keeps getting better and better, with an ace story (and lots of being a man-slag). Legacy of Kain Soul Reaver, an old favourite I randomly thought to search for and found on steam. And finally Euro truck simulator 2, how the smeg is this game actually good?! its so therapeutic! But I could not get into deux ex human revolution. I cant get darksiders to work properly, half the screen sods off during cutscenes…. but not during gameplay. Dishonered and Spec ops the line I will come back to one day. Currently stuck on a boss in Y’s Origins. McPixel gets a special mention for no reason. It had promise, there were lots of flavours listed on the back of the bottle. Sadly none of them came across during my time with the beer. It just tasted of a normal ale. I hadn’t found an Adnam’s ale I was particularly keen on in recent memory, but a rather good offer made me pick up this beer and the next. 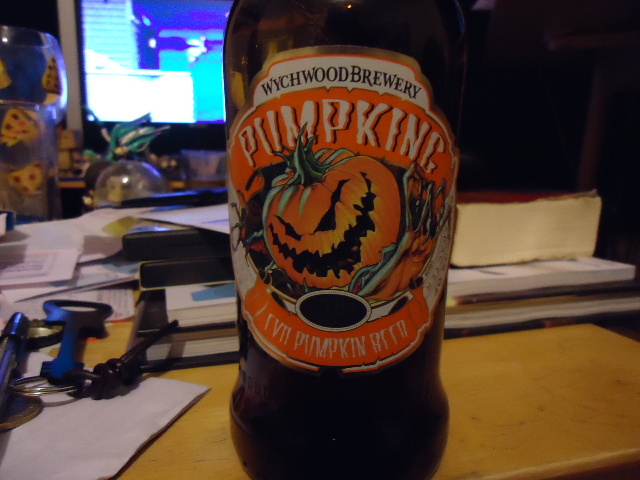 It certainly has more of a flavour than the recently mentioned Pumpking. One thing that I did like about it straight off was the citrus smell, one of my faves being Brew Dogs Punk IPA which also has a citrus element. This one really grew on me as I went through it. Though i’m not sure how much was to do with the game I was playing at the same time. 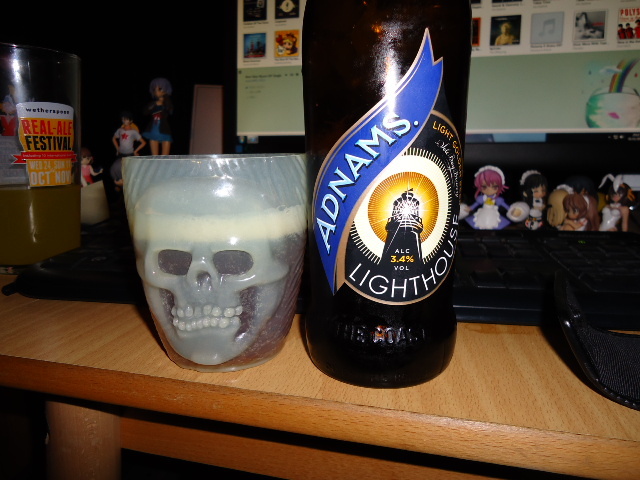 And finally, Adnams Lighthouse. Now compared to Pumpking and Ghost Ship this one doesnt sound spooky. But somehow I really associate lighthouses with a descriptive line I heard for the Bioshock series, “There’s always a man. There’s always a lighthouse”. 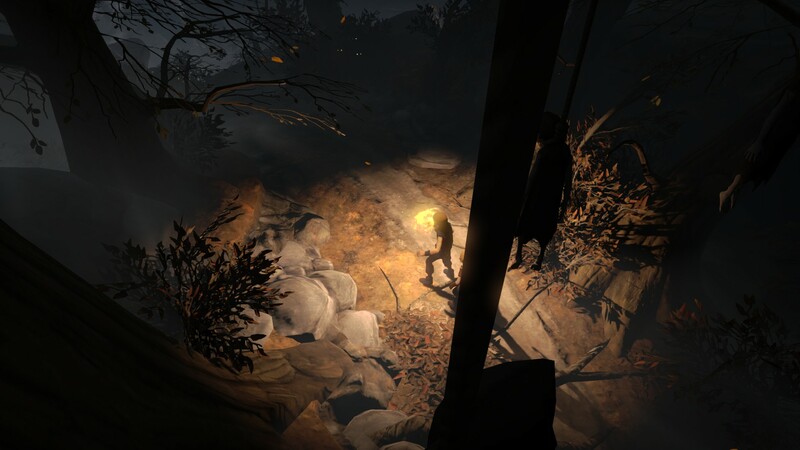 I then start thinking of the opening area of Rapture which is far scarier than anything in the whole of Coloumbia and suddenly i can associate a beer called Lighthouse into a catagory for Hallowen beers. 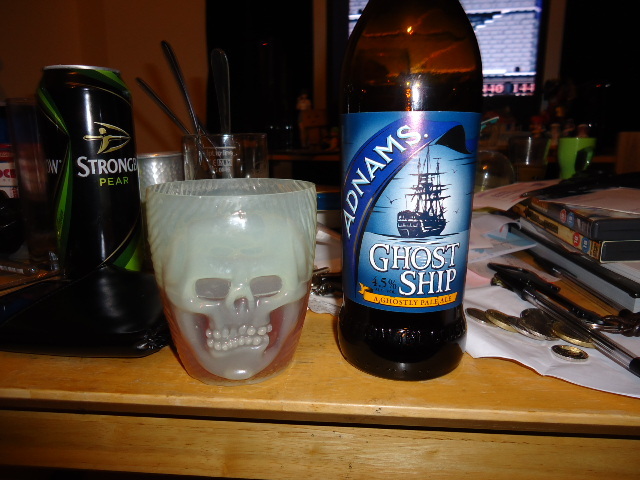 Sadly this one doesnt have as much to the flavour as the Ghost Ship. There is a subtle flavour to it but I cant quite place it. So the winner of Colin’s Halloween beers is Poltergist Porter. It was in the Wetherspoons recent ale festival. I didnt get a photo but I did manage to have several pints of it. A lovely rich taste with chocolate flavours. But them again, I do like a Porter.